Please join us at 3:20 p.m., Saturday, October 6 in Fremont, Nebraska for the White Light City Film Festival. “Black Jack Pershing: Love and War” is among the films submitted from 13 countries chosen to screen at Eppley Auditorium in the Kimmel Theater at Midland University. The screening also features a discussion of “Black Jack Pershing: Love and War” with the award-winning film’s producer and University of Nebraska-Lincoln professor Barney McCoy. General John J. Pershing, a Missouri native and prominent historical figure in Nebraska, commanded American troops in World War I. He rose to global recognition with an illustrious military career that included the Allied victory in WWI. 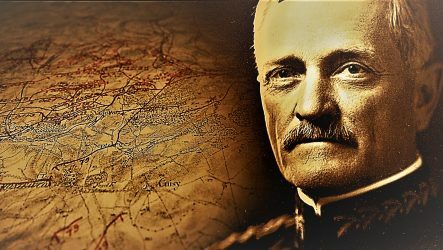 Drawn from personal papers, archival photographs and film, the award-winning documentary Black Jack Pershing: Love and War tells the story of Pershing’s military career and his personal life, including tragedies seldom examined.